How is the weather where you live? We've seen it all here in Michigan. For the past few days we've gone from snow to rain to ice to fog and then some. 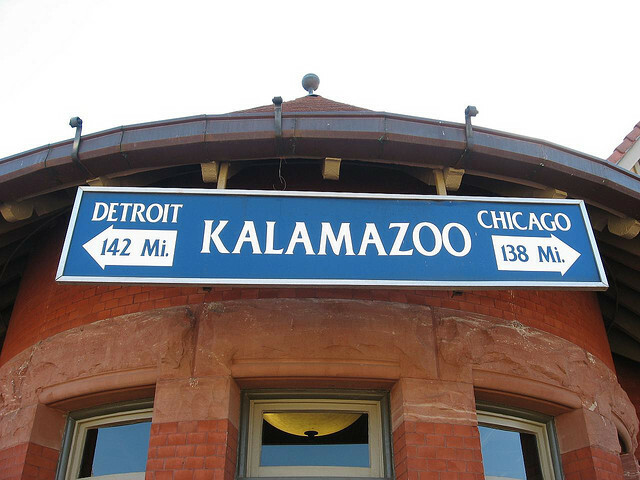 With that being said I caught the train on Friday to Ann Arbor to house hunt. I would be the one traveling in the Detroit direction. The train was an hour late due to weather conditions but my husband was there on the other end to get me, weather and all, at midnight. What a fun way to travel! I sat back and knitted as content as a person could be. Sunday I caught it again and made the trip home not any closer to buying a house but with much progress on my knitting. 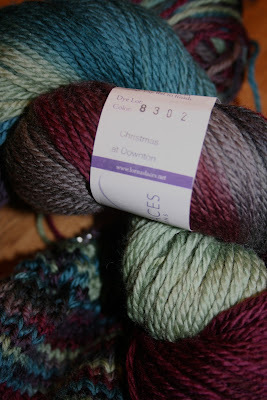 This past Christmas, Lorna's Laces partnered with Jimmy Bean's Wool to create a fabulous yarn. Much to the delight of hundreds of shoppers, they named it Christmas at Downton. I tried so hard to get a good photo of the label for you, but this was the best I could do. 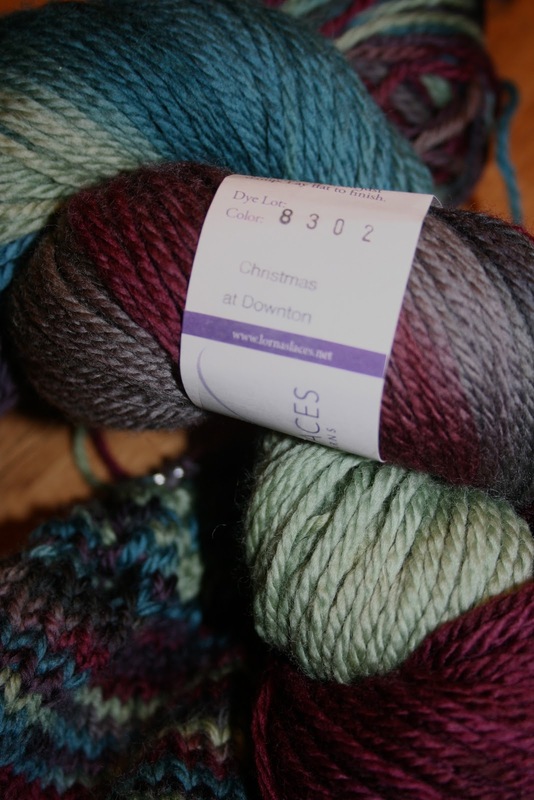 The yarn sold over 2,000 skeins in two weeks and nearly did the two yarn dyers in. 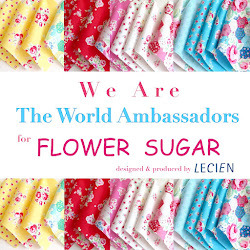 Production was stopped, but I'm confident that they will make it available again due to popular demand. I managed to find three skeins while searching the internet and am happily knitting away on a shawl/wrap pattern. I snagged my skeins at Angelika's Yarn. In my effort to better answer your questions, I have enabled the reply feature on comments. Look for the answers to your question there. Have a blessed day! Have you found there seem to be fewer homes for sale? I have been casually checking the listings here (we are just beginning to think about moving in a year or two) and it seems there is very little listed! Do you know I have never been on a train? Unless a subway train counts but it's kind of different isn't it? Sounds nice to be able to sit back and get something done. Oh Kathy, you must take a train trip! It's so relaxing. Yes, I agree with you, houses are scarce and when they list they sell quickly which is hard if you live out of town. Hopefully, that will be good for us on the selling end - we'll see! That is one of my dreams. To take a train trip, and knit or crochet and drink tea. :) That yarn makes me want to pick up my knitting needles again! Good luck with the house hunt! !